Still a beginner? Need a hand to get started making money as an affiliate? 3. I here you say, “OK, so I got my domain name, hosting account and wordpress website, so whats next” – Well, next you should seriously consider to begin adding content to your wordpress website that will build trust and relationships with your readers (and potential buyers). Click here to watch the video and learn how to do this now. Once you have completed all the above give yourself a pat on the back, because although its likely you have yet to make your first commission, you’re well on your way to doing just that. For more advanced marketing materials first go through the general affiliate training videos here. You’ll also find a training video section in your affiliate dashboard – simply login and go to ‘Training Videos’ on the left hand side of your affiliate dashboard. 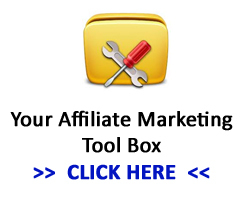 This entry was posted in Affiliate Tutorials, Beginners Guide to Affiliate Marketing and tagged make money as an affiliate on April 10, 2013 by Admin.